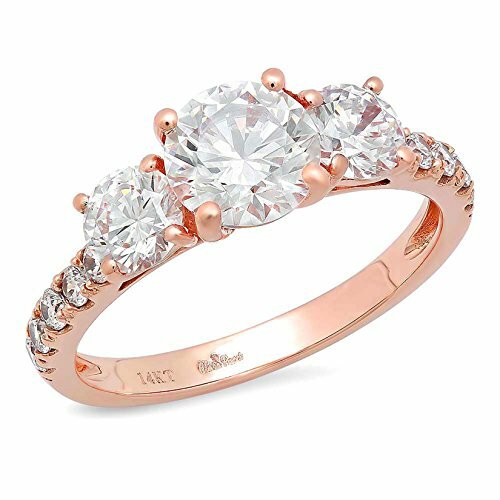 Solid 14k rose gold designer ring. Finest Russian simulated Cubic Zirconia Diamond. Designed, manufactured and sold by Clara Pucci in the United States.